Seen on Twitter that orders made over the weekend resulted in multiple orders per transaction (£130+), one guy charged 3 times for a single ticket. Not good timing with the staff offices closed. Ticketing system is run by Ticketmaster. I suspect they own and run the system. The ticket office staff will have a log in but restricted access to deliver basic customer service. If it is a system error then the blame will be with the Ticketmaster platform not the club. As far as im aware the club do not operate in house ticketing. You need communications to the fans to inform them on what to do. Unlikely though it is to happen, as things stand (!) , even if oufc financial dept were to introduce an inhouse 'Everton type' system ....given the series of calamities with payments etc , personally id be concerned as to whether oufc financial dept are capable of running it properly? Yyou need communications to the fans to inform them on what to do. I'm trying to buy my ticket for Wimbledon and having issues! Timed me out and now frozen! 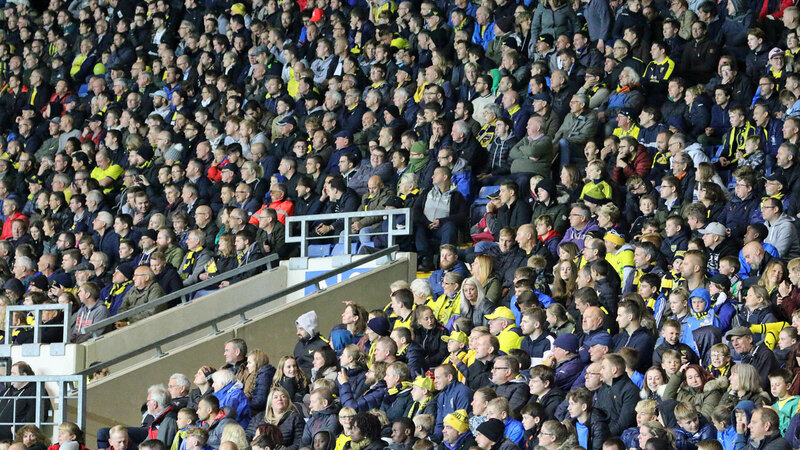 The Oxford United Ticket Office staff are currently working through a number of double payments made over the weekend on our online system.